On May 8, 2018, Donald Trump announced the US withdrawal from the Iranian nuclear deal. 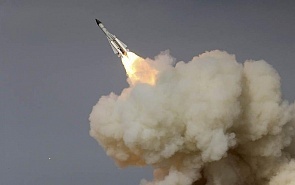 Simultaneously the Iran-Israel conflict began to escalate: on May 10, Israel conducted a missile strikes against so-called"Iranian military targets" in Syria - allegedly in response to a similar act of aggression against it. Alexander Aksenyonok, Ambassador Extraordinary and Plenipotentiary and Deputy Chairman of the Association of Russian Diplomats, spoke in an interview with www.valdaiclub.com about how the US decision on the JCPOA influenced the regional policy and the escalation of the conflict. Recently the situation in Syria became more tense, and the Iran-Israel conflict played a significant role. The confrontation between the two countries happened before. Israel made it absolutely clear, that it would not allow Hezbollah to be strengthened in Lebanon and Syria, because it means an immediate threat to its security, especially taking into account the position of Iran, which does not recognize Israel as a state at all. Before the Israelis bombed convoys passing through Syria with weapons for Hezbollah in Lebanon or in Syria. Now the confrontation has entered a new phase. Israel openly declares that it will not allow Iran's strengthening in Syria at all - neither its missile installations, nor its military bases, nor the presence of the Islamic Revolutionary Guard Corps (IRGC). Therefore, the exchange of strikes last week is an extremely serious and dangerous precedent that can lead to further escalation from both sides, or to provocations from third parties. In a recent speech, Israeli Prime Minister Benjamin Netanyahu showed some Iran dossiers allegedly obtained by Israeli intelligence, indicating that it secretly continues the nuclear program. Perhaps this further stimulated Trump to take his decision. Another accusation against Iran by Israel concerns support of Hamas and Palestinian youth manifestations in the Gaza Strip - Iran allegedly finances, organizes and prepares them. The situation is dangerous, because even if we consider that both sides are aware of the consequences of a possible military confrontation, we cannot exclude the unintended development of events that can lead either side to a decision that cuts the way back. It is also dangerous, that the intentions of the parties can be misunderstood. Another point is that the US withdrawal from the JCPOA encourages Israel and Saudi Arabia to toughen their positions and take advantage of this situation to make Iran change its policy in the Middle East and accept serious concessions to the detriment of its national security. The confrontation between Israel and Iran complicates the peacekeeping efforts in Syria, including the UN efforts and the Astana peace process. Any destabilization leads to the atmosphere of uncertainty and suspicion, and there is enough of this atmosphere in the region. We need confidence building measures, but so far, unfortunately, they are not available. In general, the US policy in the Middle East now looks rather vague. Both President Donald Trump and members of his administration make very contradictory statements: it is not clear whether America is going to leave the Syrian territory or not. In the American expert community there is a strong opposition to the US withdrawal. The liquidation of US military presence in the region is unlikely, because this presence is seen as a pressure on Iran and Russia in order to have trumps in hands and achieve an acceptable political solution in Syria. The strengthening of the American influence, which is also realized through the controlled and loyal Kurdish democratic forces on the eastern bank of the Euphrates, de facto leads to the partition of Syria, although no one dares to admit it de jure. Taking into account Trump's eccentricity, his contradictory statements and actions, his efforts pursue one main goal: to undermine the legacy of Obama, his predecessor, which is uncharacteristic for the American political practice. Of course, the Americans would like to change the Iranian regime, but with such pressure, the government in Tehran will eventually take an increasingly stiff position. A sharp change of policy towards Iran seems short-sighted, because it can damage even the national interests of the United States. It is possible that due to the steep turns in the Middle East policy the US can become hostage of the regional powers interests, in particular - Saudi Arabia, as it happened last year in connection with Qatar.